Services Schedule Children Programs Volunteer Spot! Purim Fun! Earth Stars! Moon The Milky Way! Galaxy Fun! Sun! Title: Mr. & Mrs. Mr. Mrs. Ms. Miss Dr. Rabbi Dr. & Mrs. Dr. & Dr. Mr. & Dr Rabbi & Mrs. 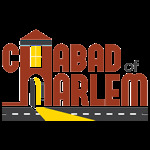 Please note: All information submitted to Chabad of Harlem is strictly confidential. We do not share this information with anyone or any organization under any circumstances.